May the next part of your journey be as a feather on the wind, or a Z on a winding road. The Next meeting of The Coastal Z Club will be at The Exchange Tavern at 6710 Waters Avenue! Same Z time (7pm) Same Z Channel. As a bit of added Coastal Z Club info, I got a call from Angel, and he is doing great in Upstate! He just bought a Beautiful Nismo with virtually no miles! He sent me a pic and I will post it here in the next few days! The Next Club Meeting will be at Sonic on Mongomery CrossRoads Tuesday 10/21/14 at 6:30 pm! Be there! We have had several inquiries from Z enthusiasts, and expect to see some new Zs! I will bring the camera, but will likely be in the Truck as my Z has 2 seats and the Stokes boys need three! 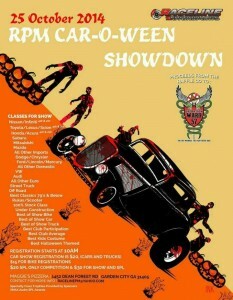 On another note there is a carshow coming up! lets get out there in force! OK! After a lengthy absence, Coastal Z Club is actively Pinging! As My health became an issue and no one jumped in to keep the club in progress, it waned, but now that my health is actually improving, I will be getting the club back into at least some semblance of its former self! I am going to tentatively set a meeting for Tuesday October 21, at a time and location to be announced in the next several days! If you have stopped by and noticed no life on the site, please accept my apologies, and give us a try now, register with the club forum and add your Z to the “Projects and Builds” even it is turn key and ready! We use that forum as an introduction, and as a before and after progression for our members efforts! We (Trish and I) are Finally here! That freakin’ Murphy must have stowed away in the car…he set us up for delays and drama! From more rain than expected to missing Tire Valve stem expensions, to morons trying to cause accidents, our trip was far from uneventful! But we made it to find Mike and Scarla in the Lobby at the Fontana Village Resort! Tired and sleepy, but here! The Z is well beyond Nasty, but tomorrow morning she will get a bath and go for the Drop top Cruize! The Coastal Z CLub has been invited to the Dixieland Cruisers 26th Annual car Show on Sat, Mar 29 at the Windsor Forest Baptist Church on White Bluff Rd! Let’s see if we can get up a healthy participation-this is a great show-I went last year and seriously enjoyed it! “I want to invite the Z-car owners to the Dixieland Cruisers 26th Annual car Show on Sat, Mar 29 at the Windsor Forest Baptist Church on White Bluff Rd. Howdy Savannah and Low Country Z/Nissan/Datsun enthusiasts! The Next meeting of the Coastal Z Club will be on Tuesday, March 18th at 6:30pm at B&D Burgers on Abercorn! With any luck we will have a new to the area Q60 IPL owner in our midst, Mr. Robert Nash! Be sure to welcome him to the area and be quiet…most of us will be recovering from St. Patricks Day and all it means! Once again, two of the best Z events are just on the Horizon! Zdayz and Zcon are coming up quick! If you have never been Zdayz is a weekend of Z magic-318 curves in 11 miles, and more Z immersion than than you will believe from its unique and addicting driving experience, The Tail of The Dragon, to Team Trivia, a Car show, A drag race, exhaust competition, and much, much more, Z days is one of two regional Z events to make room in your schedule for(The other being the ZNationals) . Zcon Is an International Z Car Convention with a history of Nissan attendance by the people who made the Z what it is! With a Performance Driving even, A formally judged car show and The Great and Powerful Lenny Arnoth Chairing on a beautiful California Island, this is a Zevent to be AT! VISIT www.zdayz.com and www.zcon.org for all the info! ZDayz is rapidly approaching, a little over 90 days out-that may sound like you have plenty of time, but the fact is that the Fontana Village Resort sells out quickly, and if you don’t get on it you may have to stay somewhere else-and miss the Z immersion of being on-site with unlimited access to the all things Z and Nissan! Zdayz has the best driving experience you are likely to find(if you know the secrets of timing) and Nissan brings thing to ZDayz that they share at no other Z events…Vendors bring their latest offerings and and show off their latest tech…with A technology filled Drag session starting off Thursday(ask Rick), a Drop Top CruiZe kicking off Friday Morning(no convertible required), a Car Show on Saturday, and door prizes, and raffles through out the weekend, there is something to keep you entertained! Did I mention 318 curves in 11 miles with serious elevation changes…talk about pumping your veins full of the Highest Octane Automotive Adrenalin, and getting into that target heart rate! If you can’t find Z entertainment here you might as well trade in the Z and pickup a YUGO! You have just over three months to get your Z ready, for serious driving, the car show, or just showing off! If you are serious about enjoying your Z, don’t miss ZDayz! PS, Coastal Z Club is hosting the Trivia Contest again, so get together a team of up to 8 people(no outside or electronic help) and come show off your knowledge of all things Z! I will be keeping all the questions private until the contest, so feel free to get a team (up to 8 people) and give it a shot! Our Next Meeting Tuesday, December 17th, 7pm at Hooters at @204 and I95! As the title says, 12/17/13 Hooters at 7pm! We will be giving Gary congratulations on his recent Car Show First Places(Yup, three of them!) checking on the progress on several members projects, Passing out issues of Z Car Club Magazine, and starting to plan for next years events! On that vein-Now is the time to start getting ready for ZDAYZ! Even though registration will not open until early January, reserving a room/cabin at Fontana Resort is something you do not want to wait on…there are only so many, and they sell out in a hurry(I set mine up before I leave every year). ZDayz need volunteers to run, and asks only two to four hours from the weekends festivities! For volunteering you get to be a part of the team and get an official “ZDAYZ Voluntold” tshrt! We handled the Trivia contest last year-after trouncing all comers the first year! There are lots of opportunities-from Judging the car show to helping with bag stuffing and registration to parking at the Dam photo, to checking bracelets and beers at the dinners Friday and Saturday nights-having done all of them I can tell you there is more fun to them than actual work (though you do have to actually show up and actually do something! ), and everyone involved is going to have a good time! By My measure ZDayz is on of the largest Z events in the country and certainly in the region. 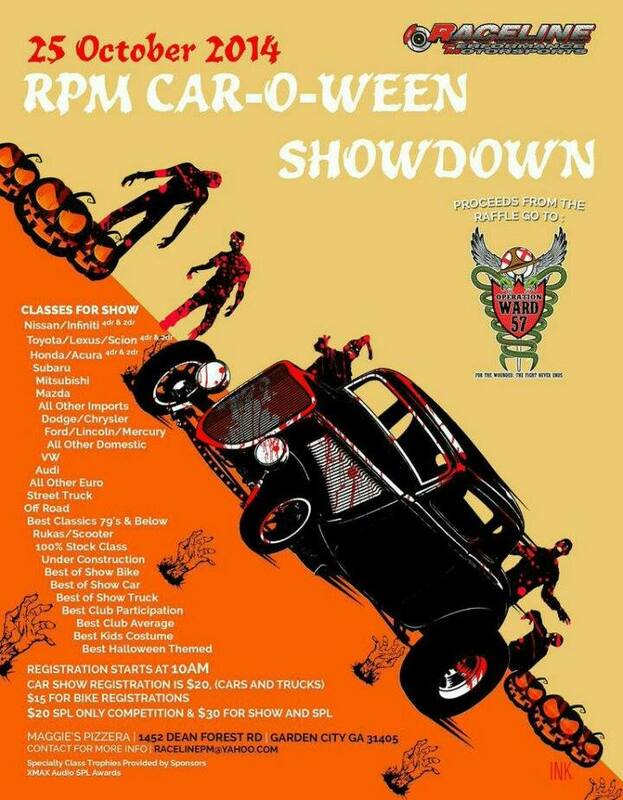 If you attend you will see some of the most beautiful Zs out there from Bone Stock to modified to the point of being almost un-recognizeable! You will also get to meet many of the Z people you may have met on line…and drive the most outrageous road you will ever put your Z on-US129-The Tail of the Dragon! From Driving the Dragon, to the Trivia COntest, Car show, Giveaways, Raffles, competitions and awards, ZDayz is an event not to be missed, from Z cars, Z People, and Z immersion-you will have a great time-In the cabins there are College type parties, on the Deck at the Rec room there is a live band and serious mingling, and in the lodge are the quiet and private get togethers…something for everyone! The event is still shaping up! See www.Zdayz.com for the most current information!